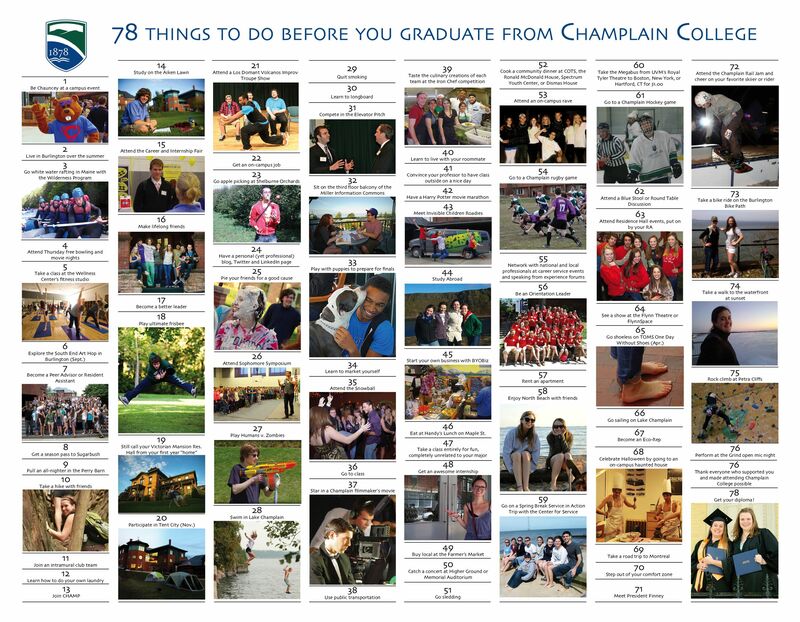 Although there are plenty of things current students would say are necessary to do before graduation, in honor of the College's founding in 1878, we have compiled these 78 things to do before you graduate. We hope this inspires you to get out there and start checking these off your college bucket list now! Whether you're an incoming first-year student or in your last semester at Champlain, you can compare how your college experience has measured up to your friends'. It's important for self-discovery to go out of your comfort zone and try something new. So, if you haven't tried to play Quidditch yet, or haven't explored town by way of the CCTA bus line, you might be missing out. Participate in student activities' spring game show — this year they are playing Slime Time Live! Call your first-year residence hall "home"
See the S.D. Ireland St. Patrick's Day parade - I never thought cement trucks could be so cool! Get your diploma! - SAY CHEESE! 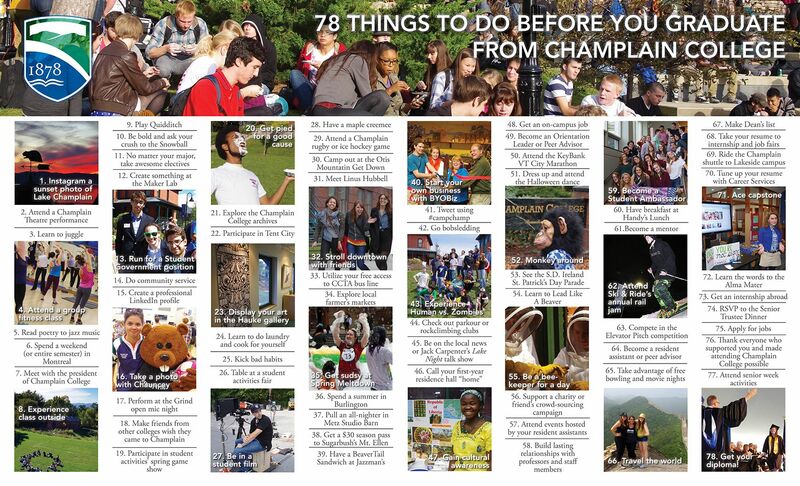 Also, check out the 2012 edition of 78 things to do before you graduate for some more fun ideas and a look back at how Champlain has changed in just two years.